Rice picked a good time to grab his first West Ham goal, powering the ball beyond Bernd Leno from 12 yards three minutes after half-time in a game of few clear-cut chances. The main talking point came when Arnautovic seemed to wave goodbye to the home fans when he was substituted with 71 minutes played, days after West Ham rejected a £35m bid for the Austrian from an unnamed Chinese club. Home Team: Fabianski (7), Zabaleta (7), Ogbonna (7), Diop (7), Cresswell (7), Noble (6), Rice (8), Antonio (6), Nasri (7), Anderson (6), Arnautovic (7). Arsenal: Leno (6), Mustafi (6), Sokratis (6), Koscielny (6), Maitland-Niles (5), Xhaka (5), Guendouzi (6), Kolasinac (5), Iwobi (5), Lacazette (6), Aubameyang (6). Arsenal managed just two shots on target across the whole 90 minutes as their wretched away form continued, leaving them with one win on their travels in their last seven Premier League games. Unai Emery's side had shown the greater intent before half-time but lacked the invention to regularly find a way through the home defence, with Alexandre Lacazette and Pierre-Emerick Aubameyang onlookers for long spells of the first half. 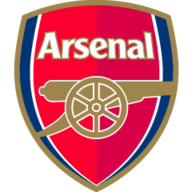 Both sides exchanged cursory efforts early on but Arsenal did carve out the first real opportunity when Lacazette held off Pablo Zabaleta and powered into the box. Lukasz Fabianski saved his first effort from 12 yards, and he skied the rebound over. But with the restored Arnautovic looking untroubled by the speculation around him at the tip of West Ham's attack, the hosts always had a focal point they could play off and he held the ball up for Samir Nasri, only for the Frenchman to strike the side netting from a tight angle. Felipe Anderson also came close when Nasri waited for his run and laid the ball into his path 25 yards out, before Matteo Guendouzi rounded off an even, but uninspiring first half by going close from a similar distance. 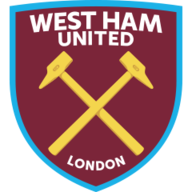 West Ham made five changes from their FA Cup win over Birmingham, including a return for Marko Arnautovic and a Premier League return for Samir Nasri. Unai Emery reverted to the Arsenal line-up which beat Fulham in their last league game, with Ainsley Maitland-Niles on the right of midfield in a 3-4-3. The second half sprang into life within five minutes of the restart with Nasri, who had been busy before half-time, teeing up Rice after a poor Granit Xhaka header to blast the ball beyond a rooted Leno from 12 yards. Aubameyang was put off his stride by Aaron Cresswell's sliding challenge in the box and Alex Iwobi just missed the far post when played in on the left as Arsenal pressed, but they still did not work Fabianski enough. The arrival of Aaron Ramsey and Lucas Torreira and even the pace of Hector Bellerin off the bench failed to ignite the Gunners' usual second-half charge, which has seen them pick up eight points in the last 10 minutes of games alone, as the hosts saw out a first victory over Arsenal on home soil since 2006. Manuel Pellegrini says he will wait and see what happens with Marko Arnautovic but insists they must do what is right for the club. 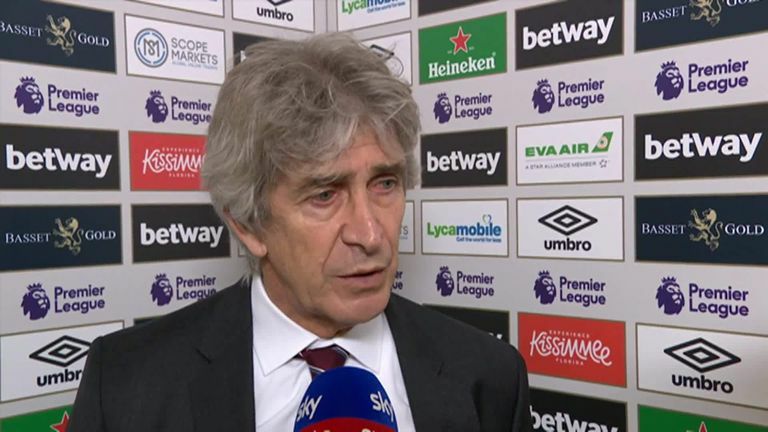 Manuel Pellegrini: "I was pleased with the balance and consistence of the team. We did not allow Arsenal any chances despite their quality of players. We played with a mentality of a big team, always going for the second goal." 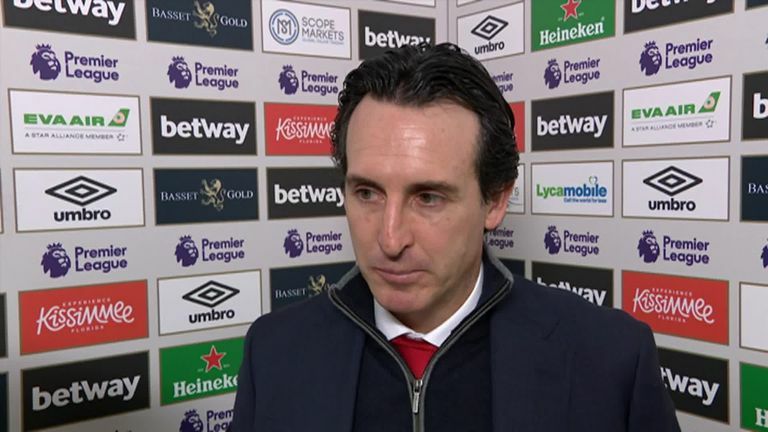 Unai Emery says his since created more chances but were not clinical enough in their Premier League defeat to West Ham. Unai Emery: "It's a bad results for us. It's concerning because we need to be competitive at home and away. At home we feel good but away we are not getting the results we want. Today we had to do more to impose our ideas. If we could have been more competitive with more quality we could have done better." 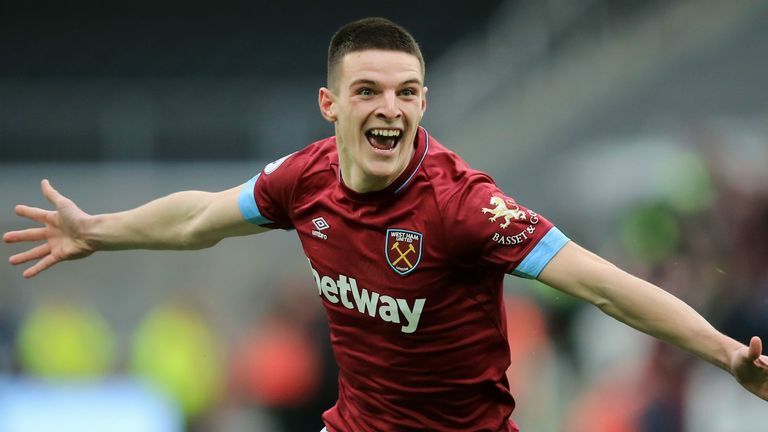 Besides scoring the winner, Rice did a brilliant job anchoring the West Ham midfield, often doing the legwork of both himself and Mark Noble, who struggled to keep up with the pace of the game on the few occasions Arsenal got going. He won the ball back more times (10) than anyone else on the pitch, but he never shied away from the ball either, scoring the only goal of the game and of his team-mates only Noble and Anderson had more touches over the 90 minutes. "I'm trying to think of a defensive midfielder in the Premier League who does it better than him," said Sky Sports guest and West Ham midfielder Jack Wilshere. "I'm not saying he's the best in the league because he's got a long way to go, but he's on the right track. His reading of the game, his maturity and today I saw a bit more - he wanted to go forward more and he can bring that to his game." West Ham travel to Bournemouth next Saturday at 3pm, shortly before Arsenal face another London derby with Chelsea at the Emirates at 5.30pm.